In January Mr Ellis is visiting schools in the city of Shanghai to find out how children learn Maths. Shanghai schools have the best results in the world and Mr Ellis will be finding out how teachers organise learning so that all children become masters in how to work out calculations. to help them understand how they show the best learning habits. Parents and rest of the family also play a huge part in the education of children in China. Mr Ellis is hoping to speak to parents, teachers and children to find out how this has such a massive impact on learning. This is your chance to set Mr Ellis off on your own research mission! What do you want Mr Ellis to find out on his trip to China. You might want to think of a question you want him to ask the people he meets. You might want to find out about children’s attitude and what they use to help them understand Maths. Parents and children need to write their questions for Mr Ellis and he will do his very best to find as much information as he can…! ask them how hard is your math on a scale on 1-10? Would that depend William on what they understand as hard? It would be really great to know what maths do children do who are exactly the same age as you are…..the. You could decide if it were hard or easy? and hard because l’m in year 3/4. I think everyone in the schools learning is like that to Tori! Hi Mr Ellis, when you go to Shanghi, could you ask the children what different ‘maths methods’ ( how hard is that to say out aloud?) they use and especially if they use the bus stop method for their division? I’m interested about that too Ellie Mae – maybe he could take pictures of that for us? Yes that would be good. My mum has shown me the bus stop method it is sooooo difficult. Sorry I sent that comment twice, didn’t think the first one sent. That would be cool to learn that Ellie-Mae! Maybe you could teach some of the older ones when you have demolished your task! On a scale of 1-10 how much do you like your learning? Or which subject is your best one? (only one)! Yes that’s a really good question Mrs Moulds! Hello, I would like to know if they use the number line as my mum didn’t know how to use one and I have had to teach her. I’d like to know that too Harvey as we’ve been working really hard on it lately. Well done for sharing your learning at home Harvey. I also taught my mum to do a modern number line and grid method she says what ways do you work things out? Yes that would be great I think everyone will be fantastic! Everyone has got a chance at everything haven’t they?! Mr Ellis when you go to Shanghi would you ask them if they enjoy subjects for me please? Also do you have learning habits? If so what are they? I enjoy writing comments on the blog!!!!!!! Yes if you ask them I could help you ask everyone if you would like! What kind of stories Mrs Moulds? Do you have a head teacher? If so what’s their name? How many children in the school? What subjects do you have? Do you have computers? Do you have whiteboards? Does your school brake up in the holidays like us? Do you have blackboards? Is technology as good as ours in Shanghi schools? Do you work things out for tricky questions? Do you jot things down on some hard questions? Is everything easy or hard or in the middle? What is the name of your school? Please ask as many of these questions as you can Mr Ellis! I have just sang an xmas song may you ask them if they celebrate Christmas? It will be great if we could have a brand new club about doing learning habits, better homework, try to get higher levels and things about learning if there was a club like this starting in January I would join straight away!!!!!! Do they have school dinners? How many boys in a class? How many boys in a class? Is everyone FRIENDS? This is a really good question. I am hoping there will be more sayings I can pick up. Are there any sayings that we have in our culture that help us to think about how to tackle learning? I could do a sayings trade! Ask them what is there favourite subject. Yes that is a good idea well done. I hope you ask as many questions as you can whilst having a good time! What does their handwriting look like? Please may you ask if they take math tests like us? How do children in China write numbers? What equipment do children in China use to help with their maths? Do they use the computers much? How many schools are there and Do they eat with knife and fork ? Or there hands ? 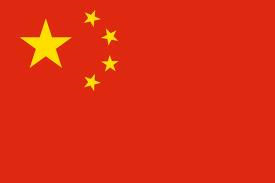 Mr Ellis when you go to China can you find out how many people are in the schools please because I really want to know. Here are some of the questions Year 1 and 2 want Mr Ellis to find out about. Do the teachers let the children learn independently? Do they have homework? Do children read every day at home? What do they use to write with? Do they have house points like we do? In Chinese culture, what do they celebrate? How are the schools built and what material are they built from? Can you ask what the children have in their packed lunch please. Mr.Ellis did you know Shanghi is the most populated city in the world. Hi Mr Ellis – hope you packed an umbrella!! What has surprised you the most about Shanghai so far? and what is the biggest difference you’ve seen in the learning styles? Do you find learning English hard? What time do the children finish school? I have found some words that mean greetings. These might come in handy. Good research Lauren…..hope you enjoyed the chat with arm Ellis today in our live feed to Shanghai! Do they have class years loke we do.? They have grades instead of year groups. Their grade 1 is the same as Year 2 in the UK. Before that children go to kindergarten which is the same as our Reception class. Is there school like ares? Do they right in pen like year3/4 and year 5/6? Are the schools gooder than ares or is ares beter than theres? Is it nise in shanghi and do you help the children do there work? Do you hafto talk chinys or inglish because some times they talk inglish but still talk chinys. Do the children where shool clothies or there own clothies?